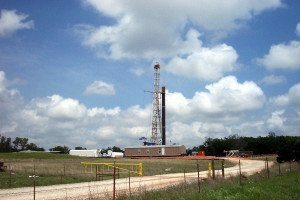 Overruling a fracking company’s request to keep the details private, a Pennsylvania judge has unsealed records related to a $750,000 settlement of a suit alleged water contamination near Marcellus shale fracking in southwestern Pennsylvania. Homeowners Chris and Stephanie Hallowich claimed that nearby fracking operations poisoned their water with acrilonitrile, a cancer-causing chemical used in fracking. A concentration of 30 times the safe level of acrilonitrile was found in the Hallowich’s drinking water. Animal studies link acrilonitrile to brain and stomach cancer. The unsealed settlement records show that Range Resources Corp, a Texas-based fracking company, paid the Hallowich family $750,000 to settle their allegations. As is normal for such settlements, Range Resources refused to admit any wrongdoing and still insists that fracking is safe. The Hallowich family, who also experienced burning eyes, sore throats, and other symptoms, agreed to an arbitration process if their minor children have future personal injuries from the chemical exposure. They have moved since the settlement was entered in July of 2011. The Hallowich’s settlement is just one of a growing number of disputes between fracking companies and families who live near active fracking sites. Typically, fracking companies insist on confidentiality in any settlement. The Hallowiches’ settlement had a confidentiality clause that was approved by the judge who supervised the original suit. The Pittsburgh Post-Gazette and the Washington Observer-Reporter sued to unseal the settlement, and the order of Washington County President Judge Debbie O’Dell Seneca was required to make the settlement public. Despite maintaining that fracking is safe, fracking companies are entering confidential agreements to buy homeowners fresh, clean water, buy their homes, or, like the Hallowiches, pay a settlement that allows them to move. The Hallowiches alleged that a nearby fracking wastewater pit contaminated their water supply with fracking chemicals and caused their physical symptoms. These wastewater pits are a byproduct of the fracking process. It is estimated that 30 to 90% of chemical fracking fluids are pumped back to the surface. Unfortunately, the most common method to dispose of fracking fluid is to inject it back into underground wells. Worse yet, similar to what happened with the Hallowich family, these chemicals are sometimes stored above ground in shallow impoundments or pools lined with only a plastic liner to prevent leaks. Poor disposal methods mean chemicals have further potential to endanger the water, soil, and air where fracking occurs. In addition to using cancer-causing chemicals, many fracking fluids are capable of causing serious birth defects. If you or a loved one has questions about birth defects related to chemical exposures, including fracking, call David Strouss at 888-491-9726 for a free consultation. We will be happy to answer your questions and explore your legal options.